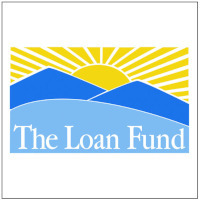 The Loan Fund is an award-winning nonprofit organization that has helped hundreds of financially under-served small businesses and nonprofits across New Mexico to start, grow and thrive. Our clients are typically unable to access credit through banks or credit unions. The Loan Fund is a 501(c)(3) nonprofit organization that is certified by the US Treasury Department as a Community Development Financial Institution (CDFI). Active-loan consulting and training services to help clients' businesses succeed!